Samsung Galaxy S8 and Galaxy S8+ are Android smartphones produced by Samsung Electronics as part of the Samsung Galaxy S series. Unveiled on 29 March 2017 during a media event in New York City, they succeed the Samsung Galaxy S7 and S7 Edge, with a North American release on 21 April 2017 and UK availability on 28 April 2017. 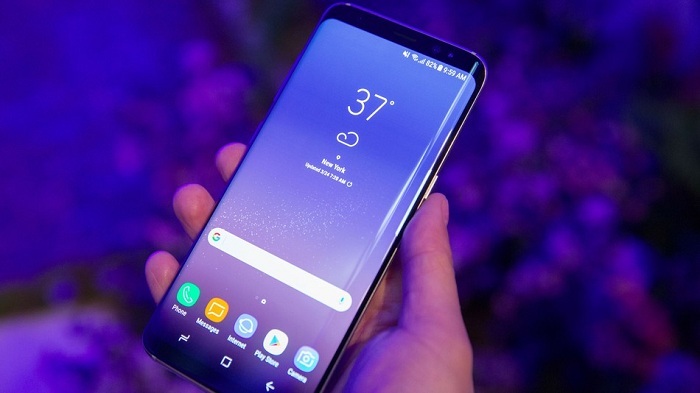 For Samsung, Galaxy S8 is the most important phone, which represents a chance to restore buyers' confidence after the Note 7 battery disaster and an opportunity to cement the Samsung name as the top Android brand against rivals from Google, LG and OnePlus. Samsung Galaxy S8 is without a doubt the most beautiful, polished phone, this is because, A tall, narrow shape that fits snugly in my palm and curved sides that scream "classy." And the screen 5.8 inches of colorful gorgeousness and a display that stretches from edge to edge with just a whisper of a bezel. For its looks alone, Samsung's flashiest phone lands at the top of the class. If you are an Apple Music fan, you may wonder to know how to sync your downloaded Apple Music files to Samsung Galaxy S8. You can try to Macsome iTunes Converter to remove DRM from Apple Music and then sync the unprotected Apple Music files to your Galaxy S8. 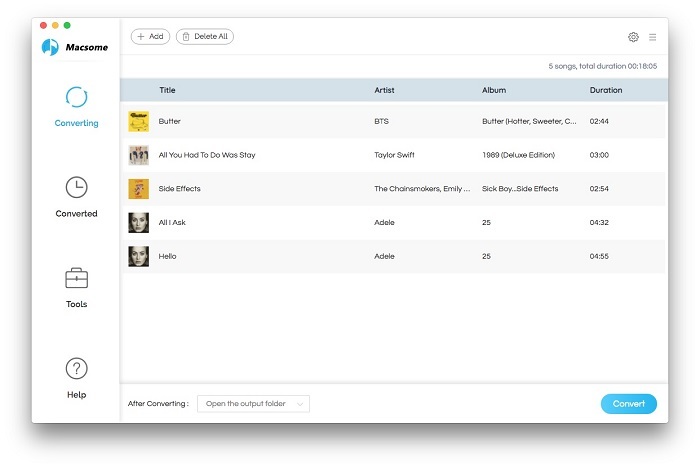 Macsome iTunes Converter is a professional DRM removal tool to remove the whole DRM of Apple Music files and purchased Audiobook and so on with upto 10x conversion speed and excellent output quality. 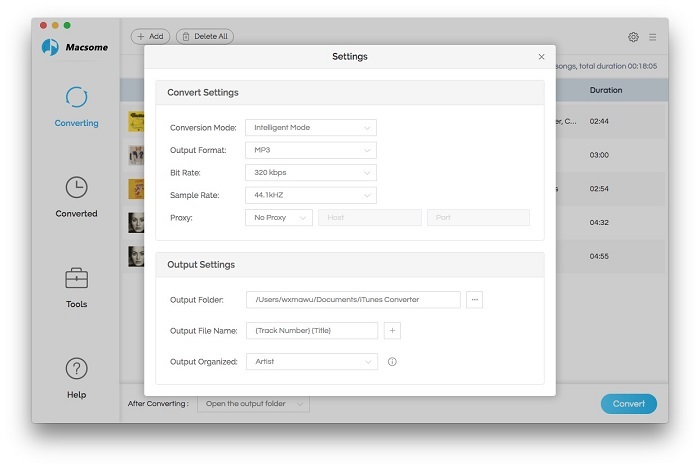 Moreover it supports converting purchased audio tracks including both Music and Audiobook, if you can play them on iTunes, you can use it to convert them. 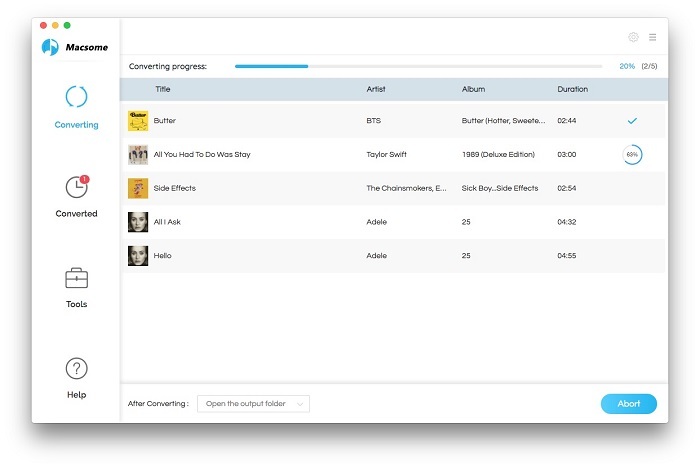 Step 1, You can follow the next download link to free download the latest version of iTunes Music Converter, and follow the instruction to install and run it. Here are four choices including MP3, AAC, FLAC and WAV for you to choose. Here we choose MP3 as the output format If you have some special need, you can also reset the related audio parameters. After the conversion, you can go to the output folder to find the converted music files and then transfer them to your Samsung Galaxy S8 as you like.